Shane Schofield is a Marine Officer. This highly decorated 32-year old, holding the rank of Lieutenant when the series starts but moving to Captain later, was at one point the leader of a special Recon Unit, one of the youngest to ever have such a position, before being transferred to go on special assignments. Schofield stands 5’10”, is thin but sinewy, and has a demeanor that makes him seem far larger than he is. He wears a pair of dark, wrap-around reflective sunglasses to obscure bad scarring around his eyes, a remnant of a mission in Serbia during the Bosnia problem and a session being captured and tortured when the aircraft he was in was shot down. He should have lost his eyesight due to the damage the interrogations did but doctors were able to save his vision, leaving him with horrible scarring and memories. 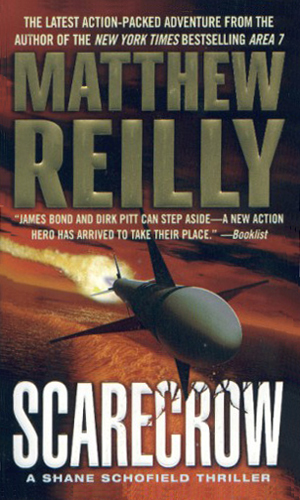 The scars are likely the source for his nickname, also used as his codename, Scarecrow. Being a member of the Marine Special Forces, Schofield is at the top of his game, commanding respect from his seniors and those who serve under him. Taciturn by nature, the fact that his expressions are hidden behind the shades makes him even harder to read and more intimidating. The settings for his adventures are quite varied but agree in their remoteness and their exotic imagery. Schofield is an expert with virtually every gun ever created, including the Armalite MH-12 Maghook, a fictitious weapon created for the series which has a grappling hook and a powerful magnet along with incredibly strong filament capable of holding more than a man’s weight. The fourth book is the series is really just a novella, initially released free in Australia as a government initiative to promote reading. 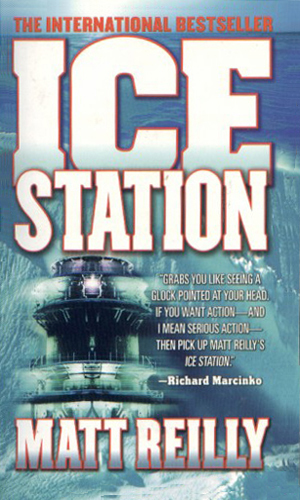 Something lies beneath Wilkes Station in the Antarctic and a mysterious group will kill anyone who tries to discover its secret. Shane Schofield leads a team on a rescue mission that turns into a suicide run. 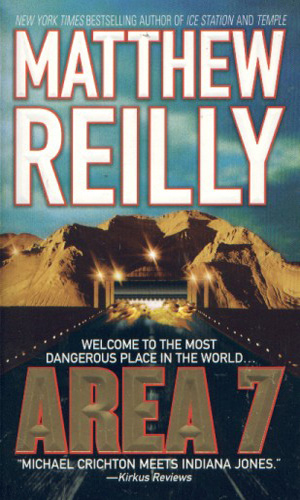 Protecting the President is the latest assignment for Shane Schofield but that will prove difficult when the leader visits a highly secret base in Utah, one which has enemy agents hiding inside awaiting the arrival. Shane Schofield's name is on a select list of 15 highly trained and dangerous individuals marked for death with a $20 million bounty on their heads. He faces two large unknowns: who is coming after him and who is paying them to kill him. 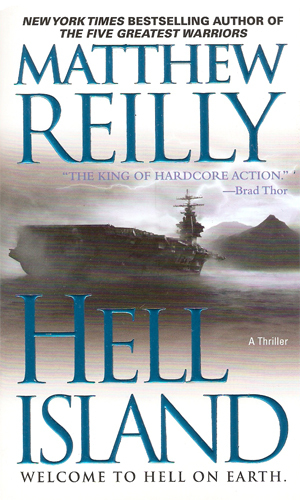 The island was on no map but it was the locaton of the government's deadliest and most secret experiments. Now all contact has been lost and Shane Schofield is asked to lead a team to find out what happened. Many years before, the Soviets hid a doomsday device in the frozen North. 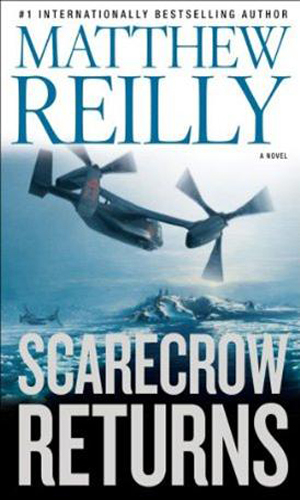 Now a terrorist group called the Army of Thieves, known for being particular bloodthirsty, has taken control of the former base in the Arctic and it is up to Schofield and group to get it from them. When the author himself says that his books are pure escapism, who am I to disagree? Indeed, he is dead on. When you start one of his totally improbable adventures, you enter his world and you really don't leave until the book is done. You can't ask for more escapism than that. I would have preferred a bit less action and more character development in each adventure but you take what you are given. And Mr. Reilly gives you a lot. After his first three stories, though, he moved on except for a novella that was later published on its own. I wish he would return to the Scarecrow as, improbably or not, they were a lot of fun to read.